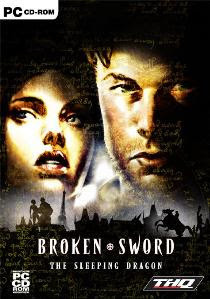 Broken Sword: The Sleeping Dragon was the third installment in the Broken Sword series. It was the first game in the series to be in 3D, and used a direct control method rather than point and click. It also had action-adventure puzzles (such as pushing crates and using them to jump up to higher platforms). Available for Purchase in hard copy from Amazon, or in digital download from Amazon, GOG.com, or Steam.